Here are our top 4 best selling motors. We are an official Lift Master Dealer! The ultimate garage access solution, designed to optimize space. The newly redesigned 8500W comes fully equipped with Wi-Fi, Battery Backup, Security+2.0®, MyQ® Technology, and the Timer-to-Close system. Works with MyQ which provides included core features, including controlling your garage door from anywhere and subscription-based partner integrations. 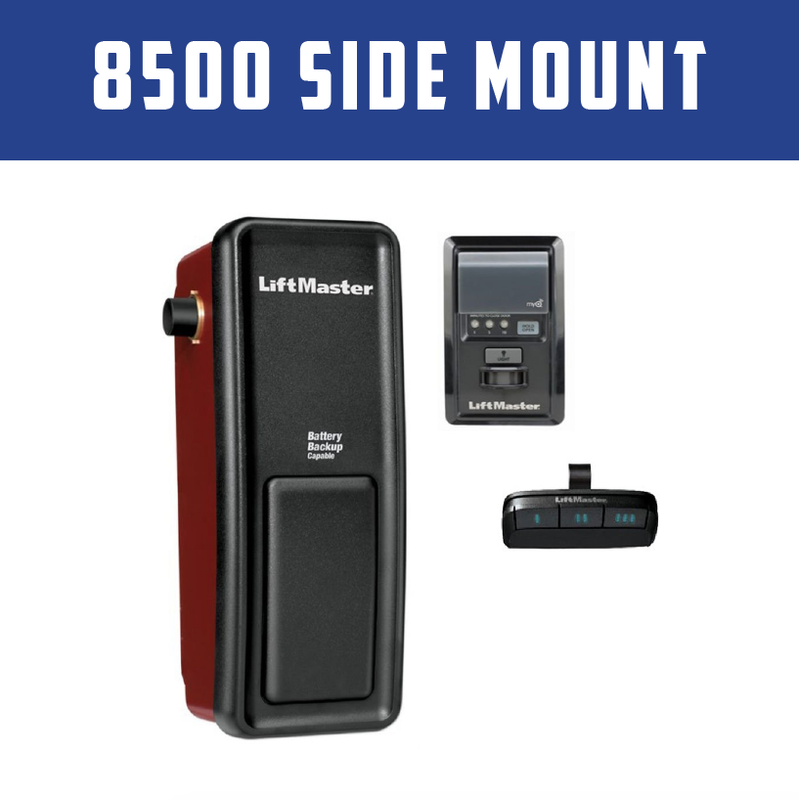 With its rugged reliability and exceptional all-around performance, the 8365W 1/2 HP AC Chain Drive Wi-Fi® Garage Door Opener is the perfect choice if you want enhanced style, reliability, and the performance attributes of our best-selling drive system ever. All Bay Garage Doors, Inc. is a local small business that provides garage door services to some of the most sought after contractors and architects, property management companies, home owners, and new build sites.